I hope you are having a great week and ready for the weekend to begin?! Yes, another weekend~they sure do come and go quick, ha? We are going to have our hands full with two of our granddaughters who will be staying with us this weekend :) We have tickets to take them to Thomas the Train, sponsored by the North Shore Scenic Railroad, lunch, the park and top it off by taking them to the movie. I am pretty sure we will be exhausted when they go home on Sunday, but it will be FUN! Today, I am sharing a couple of cute birthday cards for Arya's little friends who have birthdays coming up. I used this cute little stamp set from Joy Clair Stamps and paired it up with some fun dies/stamps from Jaded Blossom as well. I started with Jaded Blossoms Scallop Rectangle Dies 2 for the base. The base layer is the Rectangle Dies 1 and then followed with another Scallop panel. 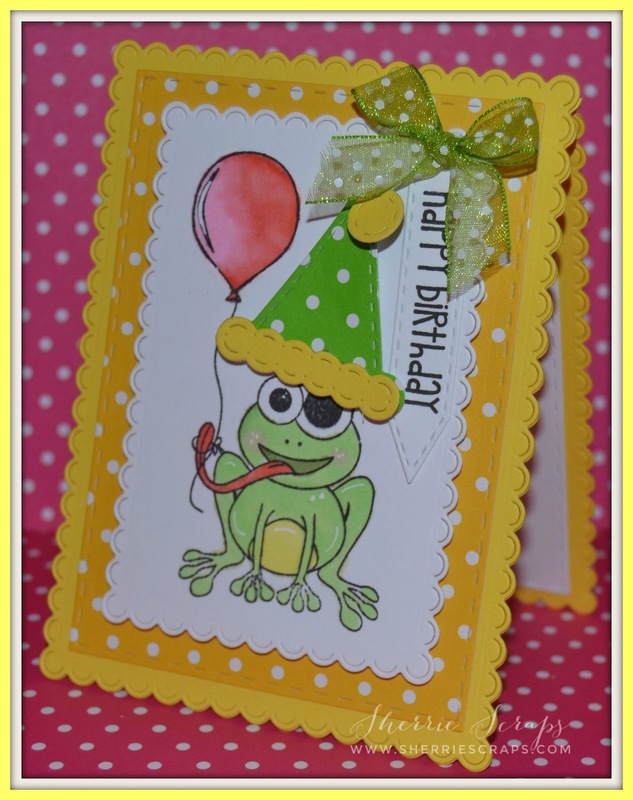 I stamped this adorable image from Joy Clair Stamps~Hoppy Birthday stamp set onto that panel and colored it with copics. 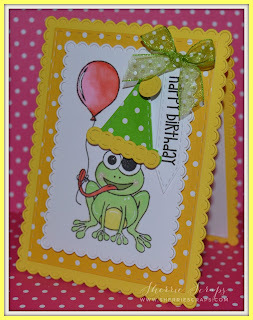 I added a fun birthday hat that is created with Jaded Blossoms Birthday Dies. I stamped the sentiment with Jaded Blossoms Turtley Rad stamp set onto a Mini Tag Dies 2 and finished with a little bow using ribbon from my stash. 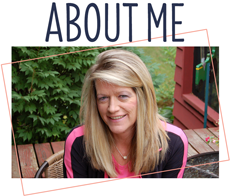 Oh, these are so cute, Sherrie!! Those frogs are absolutely adorable!! I love the hat you added!! He's so festive and ready to party!! The scalloped shape is fabulous!! Arya's friends will adore these!! So fun!! SUPER CUTE! The scallops go perfectly with this fun card. Thanks for joining in at STB! Oh these are 2 cuties here Sherrie. Love the adorable frog with his cute hat. Her friends will love them. Have fun with the girls this weekend. These are soooooooooooo cute! LOVING those frogs! And have fun at Thomas the Train!!!!!!!!!!!!!!!! I absolutely love the super cute frogs!! I really like the JB dies that you used for the base.TOTALLY cute! !The hat is so stinkin cute and such a pretty bow! Adorable cards, those frogs are just the sweetest things ever! The color combinations look so amazing! Have a wonderful weekend! I have a friend that loves frogs, I should make her something. These cards are so cute! 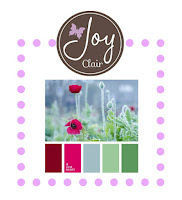 I love the colors and the scalloped edges! 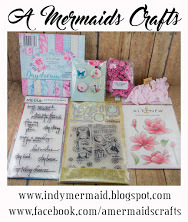 Your Cards are Adorable Sherrie, I haven't posted on your blog for while. 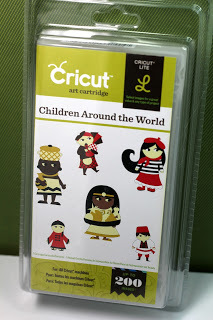 Glad to be back to Bloggy craft world. Glad you got to spend some time with your grand daughters. Mine get off here everyday through the week off the bus. Thankful to spend that time with them. They grow up to quick. Oh these card are just so cute! 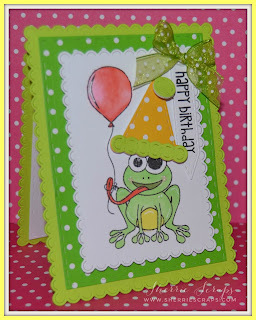 Love the fun colors and the adorable frog! WOW, sounds like a great time. I'm sure you are going to have a blast. I've been seeing the pic on FB of the girls and little Arya is just turning into a pretty little girl, no more signs of a baby. They are growing up so fast! Hope you have a wonderful weekend with the girls, ENJOY! Hello my friend!! I've been having a busy summer but am spending some time with you now. Yay! Your weekend sounds like so much fun and I'm sure your granddaughters had a blast! Your cards are SO cute! 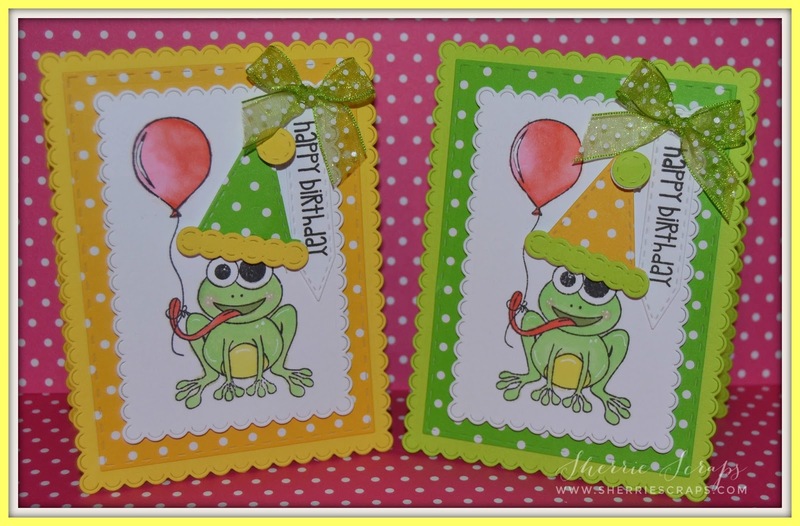 I love that fun font on the birthday sentiment and those frogs are just TOO fun with the balloons tied around their tongues!! Such a cute set of cards Sherrie! Hope you enjoyed your granddaughters! 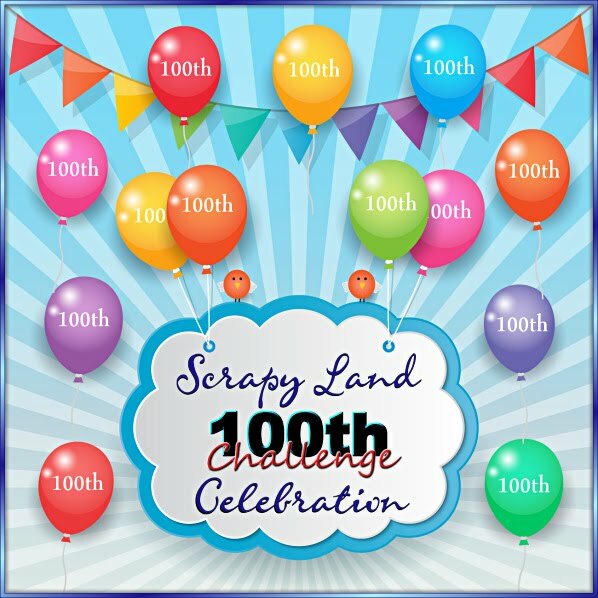 Thanks for joining the Girls and I over at Seize the Birthday I love having you in our gallery! Such sweet happy birthday cards! 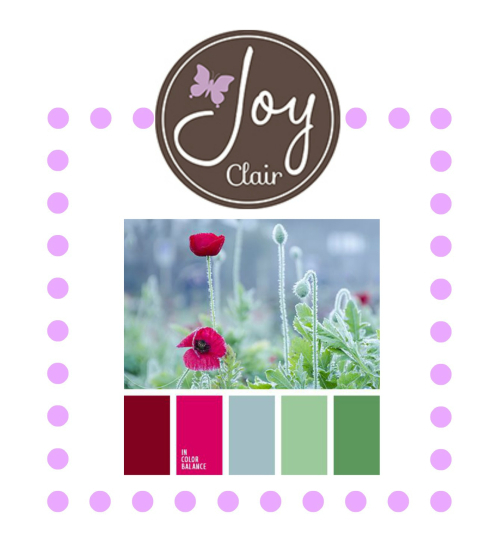 Thanks so much for playing along with us at Joy Clair!